I love this devils food cake recipe. It is a "dig-into" kind of cake. The three layers are devilishly dark and chocolaty from cocoa, bittersweet chocolate and semisweet chocolate. I love Dorie Greenspan, and this is adapted from her "Baking from My Home to Yours" cookbook. Pick up a copy, you won't be disappointed. This devils food cake recipe's flavor and texture are perfect and the cake looks spectacular when it’s generously fluffed and when one of the dark layers is broken into crumbs and pressed into the frosting on the outside of the cake. PREHEAT oven to 350 degrees. Butter and flour two 8” round cake pans, and line bottoms with parchment or wax paper. Put the pans on a baking sheet. Sift together the flour, cocoa, baking soda, baking powder and salt. In a large mixing bowl, beat the butter on medium until soft and creamy. Add the sugars and beat for another 3 minutes. Add the eggs, one at a time, and beat for 1 minute after each addition. Add the vanilla and reduce the speed to low and mix in the cooled melted chocolate. When thoroughly mixed, add the dry ingredients alternately with the buttermilk; beginning and ending with the dry ingredients. On low speed, mix in the boiling water which will thin the batter considerably. Using a rubber spatula, stir in the chopped chocolate. Divide the batter evenly between two pans and smooth the tops with the spatula. When you are ready to fill the cakes, look to see if they have crowned and if so, use a long serrated knife and gently saw off the top to even them. With the same knife, slice each layer horizontally in half. Set three layers aside and crumble the fourth layer; set the crumbs aside. Put the egg whites in a clean dry bowl and have a candy thermometer ready. Put the sugar, cream of tartar and water in a small saucepan and stir to combine. Bring this mixture to a boil over medium-high, cover and boil for 3 minutes. Uncover and allow the syrup to boil until it reaches 242 degrees on the candy thermometer. While the syrup is cooking, start beating the egg whites. When the syrup is at 235 degrees, begin beating the egg whites on medium with a whisk attachment or with a hand mixer. If the whites form firm, shiny peaks before the syrup reaches temperature, reduce the mixer speed to low and keep mixing the whites until the syrup catches up. With the mixer at medium speed, carefully pour in the hot syrup, pouring it between the beaters and the side of the bowl. Splatters will happen and don’t try to scrape them into the whites, just keep going. Add the vanilla extract and keep beating the whites until they have reached room temperature; approximately 5 minutes. You should have smooth, shiny, marshmallowy frosting. You could keep it in the refrigerator, but it’s really better to use it right now. Put a bottom layer (cut side up) on a cake place protected by strips of wax or parchment paper. Using a long icing spatula, cover the layer generously with frosting. Top with second layer (cut side up) and frost it. Finish with the third layer (cut side down) and frost the sides and the top of the cake. Now cover the entire cake with the cake crumbs and gently press them into the filling with your fingers. Refrigerate for at least 1 hour before serving. This is an awesome devils food cake recipe - you may have to "hide" it from your friends and family. 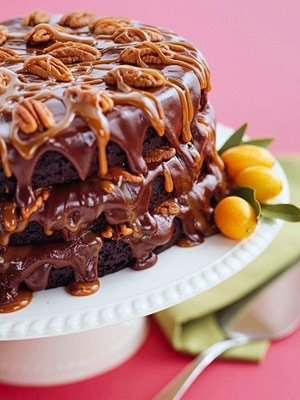 I would use the devils food cake recipe above for the chocolate cake and make two or three layers. 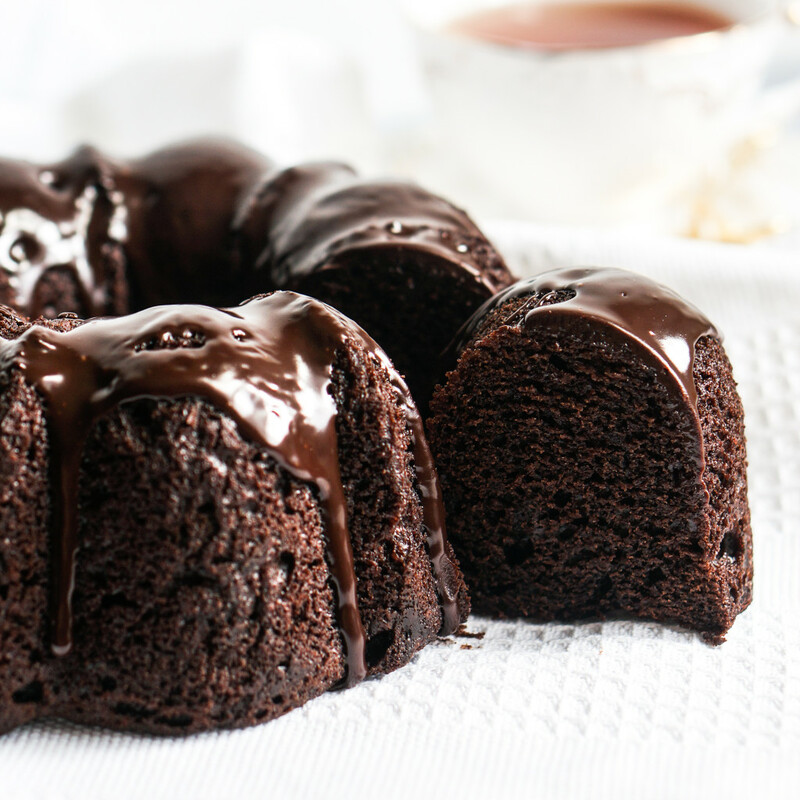 Great frosting on any devil's food cake. While the layers could be filled and frosted with almost any thick frosting, my favorite is a fluffy marshmallow one. 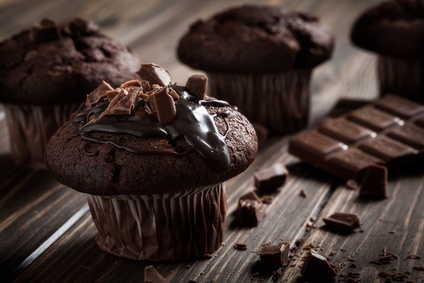 The cupcakes above are drizzled with chocolate sauce and pieces of chocolate. Yum.